Bobby "The Brain" Heenan revolutionised sports entertainment with impressive skills as a manager, a wrestler and as a colour commentator. He is recognised as the greatest manager of all time. "The Brain"s" sharp, quick wit made him a valuable mouthpiece for those he represented. Over the years, Heenan's numerous protégés included "Ravishing" Rick Rude, "Mr Perfect" and of course, Andre the Giant- whom Heenan led to the ring at WrestleMania III before 93,173 fans in 1987. Heenan formed a classic combination with Gorilla Monsoon, and the two became the Abbott & Costello of sports entertainment. In 2004, Heenan was rightfully inducted into the WWE Hall of Fame. 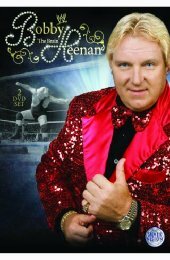 Now for the first time ever, fans can relive the Brain"s magnificent career in Bobby "The Brain" Heenan, a 2 DVD set complete with a career-spanning biography that tells the life story of "The Brain" as well as hours of bonus features, including his most famous matches, interviews and moments. "I Am Not A Weasel"